Our look at the anglers competing for the £50,000 top prize at Fish‘O’Mania XXV continues with the next six to have made it to Hayfield Lakes. Germany’s Markus Billen qualified at Carpodrom in Belgium to earn his second bite at the FishO cherry having made his debut last year. The 47-year-old from Cologne says his biggest disappointment in the sport came when he overlooked one fish in his keepnet to win a 200peg match. Berryman booked his FishO debut with a comfortable win from peg 66 on Match Lake 2 at Monk Lakes in May. The 51-year-old angler says he enjoys the buzz of competition and getting to the Fish‘O’Mania final is his biggest achievement in angling. Russ is a father of three and a builder from Surrey. Gollings utilised his local knowledge of Messingham Sands to take his spot in the Fish‘O’Mania Grand Final. Scott drew favoured peg 57 on Swan Lake and went about putting together an impressive 180lb 9oz to win the qualifier. Winning tactics for the carp were a mixture of pellet waggler and short pole to take some late lumps down his margin. This will be the first time Scott has made it to the Grand Final. 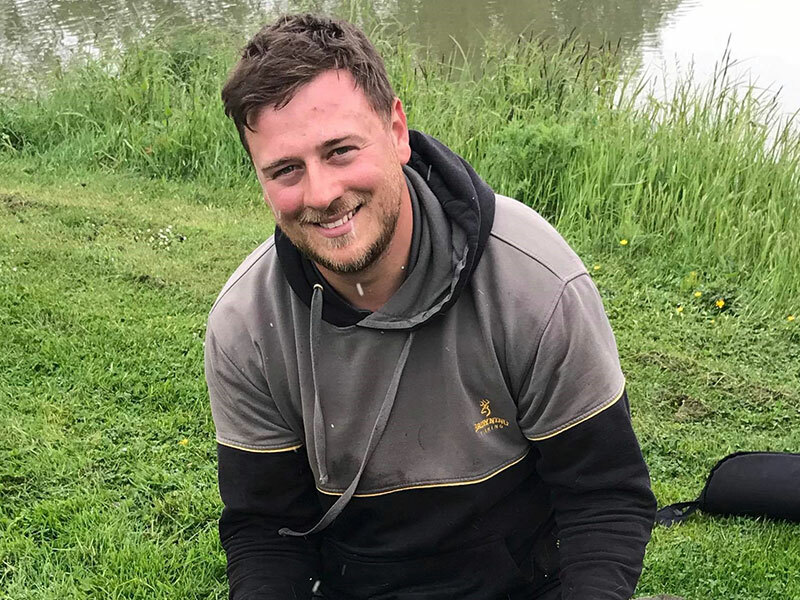 Norwich angler Adam Major has had a great 2018 so far. In April he qualified for this year’s Golden Reel match and a month later sealed his biggest angling achievement to date when he won the Colemans Cottage qualifier to land a Fish‘O’Mania debut. The 34-year-old had a nervy wait to see if he’d made the grand final after suffering a biteless last 45 minutes at Colemans but eventually won with a sizeable 148lbs from peg 2 on Wood Lake, where he made the most of carp swimming shallow. Having finished in the top five at two previous qualifiers, Richards finally booked his fourth appearance at Fish‘O’Mania with 154lbs 6oz from peg five on Lake 3 at Makins Fishery in May. The 29-year-old first fished the Grand Final in 2009, when he finished fourth. He returned in 2012 (14th) and again last year (10th). Another debutant for 2018, Andrew Dargue qualified from The Oaks in June with 263lbs 6oz, his biggest ever match bag. It was his first FishO qualifying match for ten years and from peg 19 on the favoured Ask Lake, the Darlington man made the most of the hungry carp in front of him by using paste and pellets short to amass an outstanding qualifying weight and win the match by over 30lbs.